The following post contains the introduction that this blogger wrote for the W(e are )here show, which opens today at the Intermedia Arts Gallery in Minneapolis. The show is being curated by the founders of Solutions Twin Cities; if you're going to be around the Cities at all between now and May 9th, 2008, do stop by and take a look. For more information, see the link at the bottom of the post. During the Age of Discovery, great explorers crisscrossed the planet in search of uncharted territory. They left a visual legacy in the maps that recorded their journeys, and with each new discovery, mankind's knowledge of Earth grew. One can only imagine how thrilling it must have been to live in a world that was seemingly growing larger by the day. The very concept of "where" -- humanity's understanding of our relationship to the world around us -- was expanding. Today, the internet revolution has democratized exploration in ways that Columbus and Magellan could never have imagined: everyone has become an explorer. New cartographers are adding their personal explorations to existing maps and creating new records of their own experiences. If that which is observed is inherently altered, it follows that a person's experience of a place directly changes the place itself; places are what people believe them to be. That means that today's maps are about much more than hills, valleys, rivers, and roads. Maps have become tools for examining the emotional, sociological, and philosophical aspects of the human experience. The concept of "where" is changing once again, expanding to include increasingly minute and varied facets of our world. The ever-ephemeral sense of place is created by human interaction with the physical world. Maps have always charted changing systems, but in the internet age the more intense focus on the hyperlocal has sped up the rate at which cartographers work. Slower-moving features of the planet -- shifting continents, growing cities, and eroding shorelines -- have already been adequately mapped; places are now being recorded as they exist for short periods of time. New maps record what could be termed the "hypercurrent." Within this gallery, you will find a sampling of how cartography is being redefined by this change in scale. Whether recording a tiny patch of previously unremarkable forest floor down to the tiniest twig and blade of grass, reorganizing the contents of the Bible to visualize cross-references and social relationships, or taking a fresh look at urban growth by examining the construction date of houses currently on the market, today's cartographers are rethinking how the world around us is recorded and represented to assert the fact that we are here. This new breed of explorer is taking the impersonal maps and graphs of yesterday and making them deeply personal. Where is expanding. W(e are )here. If anyone knows the name of the city in the last pic, please share. I can't figure it out for the life of me. (Thanks, Lee!) Also, I've gone back to using the original images; the past three weeks Urbanffffinds was reproducing the repros from FFFFOUND! as a time-saving measure. I realized that the images were distorted on PCs, and switched back this week. Apologies. >> A photo exhibit titled Inside is Outside, curated by WPB resident Jessica Cochran. The photo exhibit will include work by neighborhood photographers, including Ron Seymour and Carlos Flores. >> A storytelling booth, run by BulletProof Film. In the storytelling booth, you will be asked a series of questions about the neighborhood, and then you can tell a personal story about the neighborhood. Your answers and story will be video and audio recorded as an archive of the neighborhood. We also hope to use the audio in the future to punctuate mp3 walking tours, adding some local flavor. >> A mapping exercise, on a really really big map of the neighborhood. This is a pretty standard master plan element. 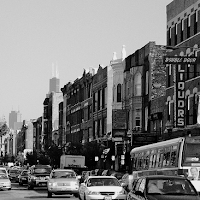 You’ll be asked to indicate where you live, where you favorite place is in Wicker Park and Bucktown, and what area you think needs the most attention. >> Postcards from the Future. Pretend it’s the year 2028, and you just visited Wicker Park and Bucktown. What did you do? What was the neighborhood like? This is your opportunity to describe how you see the neighborhood in 20 years. >> Photo suggestion box. What’s your big idea for the neighborhood? In the other activities, we’ve asked you to answer questions and write about your vision for the future, but what are we missing? Write it down on our thought-bubble chalkboard, and we’ll take a picture of you with your big idea. >> DIY (Do-It-Yourself) Budget. WPB has to submit a budget to the City of Chicago each year for approval. How would you spend the money? We’ll give you fake money to deposit into 8 different piggy banks, representing the 8 categories of WPB’s budget. >> Panel discussions. At 1pm on each Saturday there will be a panel discussion. The first panel discussion, March 29, will feature three local business owners whose businesses have grown over the years. The panel will include: Noam Frankel, Greener Cleaner; Sue Daly, Renegade Craft Fair; and Bill Jacobs, Piece Brewery and Pizzeria. The panel will be moderated by Suzanne Keers, Co-founder of Local First Chicago. The details of the other two panel discussions will be posted soon, so check back for details. For more information about the open houses, which will be held on Saturdays March 29, April 5, April 12 from 10am - 4pm at 1275 N. Milwaukee Avenue in Chicago, check out the link below. West North (Thanks to Payton for the heads up). Due to recent happenings offline, the coordination of the next step of the Blogedanken contest (aka "figuring out how the heck to do a poll on Blogspot) has been squeezed out of this week's schedule. Consequently, Where will continue accepting submissions for the contest through midnight, CST, on March 31st. The poll will be posted on Tuesday, April 1st, with voting to take place over the following week or so. TO ENTER: Read this post very carefully -- making sure to complete steps 1-4 (2-4 must be highlighted to be read; don't miss them!) and post up to five of your results in the comments section of that post. I hope you'll take a few minutes to play Blogedanken and share your results. Remember, the winner of the public poll will win a free copy of PA Press' book Hyperborder. Get creative when fleshing out your ideas...the crazier an entry is, the more likely it is to be interesting. Stretch your brain! Well la-de-da. Exactly one year ago today, Where's first post went up. The site looked a lot different...no logo, basic Blogger format, very...yellow (not sure what I was thinking, there). And here we are, 365 days later, with the 250th post. Plus, since four regular weeks = one full year in blog-years, that makes today Where's 13th anniversary! Hip hip hoo-ray, and all that jazz. Have a wonderful weekend. Thanks for a great first year! Due to unforeseen and unfortunate circumstances, tonight's review of The Endless City has been postponed until next Monday. Many notable architects and designers throughout history have created transportation-centric city models that represent the future or an idealized present. Historically, architectural movements have used these models to demonstrate their design fundamentals in a pure state to a world that did not, at that time, have the capabilities to achieve such idealistic forms. Each designer, in turn, walked a fine line between reality and fiction. A few models worth mentioning would be the Futurist Antonio Sant'Elia’s Citta Nuova, and then, within the Modernist movement, Le Corbusier’s plan for Algiers and Frank Lloyd Wright’s Broadacre City. Later, the traditional utopian city changed when the line was officially crossed from being about the study of technological advances to science fiction, with Archigram’s Walking and Plug-in Cities. More recently, the 3D city model has been featured in the work of Dutch firms OMA and MVRDV through designs like the Hyperbuilding and the Five-Minute City. Taking all of this into account, one can understand how overwhelming -- not to mention exciting -- it might be for a group of young architecture students to be presented with the open-ended challenge of creating such a complex city model by Winy Maas of MVRDV, a veteran to the topic. That was the situation I (and eleven of my classmates) found myself in during the last studio of my education in architecture. -- Winy Maas, first day of the semester describing our assignment. My studiomates and I were presented with an experiment: see how far transportation can shape architecture, with one constant variable -- the flying car. Winy had introduced us to a whole new set of Lego pieces; ones that were gravity-defying. We were to design a city that had no specific location, no city boundary, and no technological limits. This is a similar formula to those that have been at the heart of most city models in the past, except for the fact that we (twelve near-strangers) had no pre-established theory to drive the experiment. We, with the guidance of our studio's co-leader, Grace La, quickly developed a pragmatic methodology of how to approach our design and then applied it to our hypothetical scene, assuming that humans would always be subordinate, or at least married, to our means of travel (this was also in line with the prescribed “sky car”). Ironically, though we were all architects-in-training, little time was spent designing architecture in the traditional sense. During our process, research, and developments we wore many hats: Urban Planner, Product Designer, Civil Engineer, Research Analyst, Historian, Editor, and then Architect. This mash-up of information with the added flavor of democratic group decisions more or less drove our re-imagining of the city form. 1) It is our responsibility as designers to address real issues rather than represent feel-good utopias. A city model that is designed in reaction to current outstanding issues of common society (e.g. waste disposal, greening, traffic relief etc…) will likely get a lot of attention and praise. On the contrary, our city model chose to explore and build up a topic which currently carries a negative stigma. We suggested that, as a society, we accept that every person wants the freedom of having their own car. We chose to assume this desire of every individual and suggest that public transportation has no future. We feel our model holds its clout because it is based on realistic projections of where society IS headed, rather than where it SHOULD be. When an individual is allowed to carry out an idea, they are able to create one conclusive and seamless design in a similarly seamless process. As soon as you allow everyone a voice, all you get is noise -- at least at first. It took my studiomates and I a while just to figure out how we could work together, which inevitably took away valuable design time. Admittedly I, and likely others, caved to the majority vote at different times during the design process just to move forward, and I know that many “place-holders” never got re-”placed”. However, I can confidently say that our design would not have been what it was without any one person in our studio contributing their input. I have to believe that the Modernists and Futurists had an idea for the final form of their models before they designed the infrastructure to support it. In my experience, a top-down method can be inefficient, continually having to cover its tracks along the way. Please do not misunderstand me; once a design has been established I think it is necessary to go back and implement the design diagram to every last detail, but I am referring the process of getting to your building diagram. On the contrary, we were very honest in our studies; we did not hide the unpolished edges that are always a possibility of functionally-driven design. Our process was prescriptive and built from the bottom-up. The most responsible thing a designer can do is contribute to the Industry by publishing and distributing their work. Being able to show something as a product of thought can create a much larger ripple than just talk, especial in a visually-oriented community. Work should be shared, flaws and all, so that others may see and critique in order to create dissemination. There may be a conflict of interest for some in the architectural profession that view their work as an artform. But when you think of what has been entrusted to us by the public (e.g. 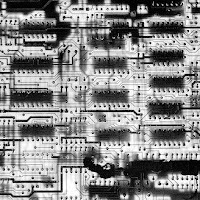 to create efficient systems, reduce environmental impact, ect…) we owe it to everyone to find the best technologies to do the job, regardless of who authored them. Now, well after the publication of Skycar City: A Pre-Emptive History, the record of my and my classmates' semester of city-building, it is up to the readers to make their own conclusions about the success of our research and model and decide whether it is worth mentioning alongside the great city models of the past. Big thanks to Ella Peinovich, a design associate at Skidmore, Owings, and Merrill's San Francisco Office. Ms. Peinovich participated in a mixed studio, led by guest professor and MVRDV founding partner Winy Maas, of twelve undergraduate and graduate students at the University of Wisconsin-Milwaukee's School of Architecture and Urban Planning in the spring of 2006. The participants recorded their process and city model in the book Skycar City: A Pre-Emptive History. Edited 4/12/08 to include full list of studio participants. Blogger's Note: The original post planned for tonight and announced on Sunday was going to focus on urbanism programs for kids in Singapore and Chicago. This post has been temporarily postponed, and will run at a later date. Sorry for any confusion! MVRDV-UWM Studio (Warning: absurdly long load time). Most cities have a love-hate relationship with tourists -- civic officials love them, and residents hate them. Tourism generates billions of dollars in revenue for cities across the globe each year. The number of traffic accidents caused by tourists not watching where they're walking? So far, no reliable estimates have been made. Still, tourism is a vital part of any urban economy. Even moreso, it can be a powerful factor for a neighborhood that is trying to lift itself up. Tourism As Economic Strategy is a well-worn path. But with all of the emerging technologies related to the web and wireless communication, it seems like the old urban tourism formula (cleaned up historic buildings + quirky neighborhood attraction + Starbucks and/or Cold Stone Creamery and corresponding independent cafe/gelato bar = success!) is due for an overhaul. Let's start by thinking small, with the traditional Japanese village. Japan's demographic woes have been well-reported over the past few years; indeed, as young residents of this highly urbanized island nation put off having families and move to the cities in droves to pursue fast-paced careers, the raw population number isn't the only thing being affected. Culturally, Japan is seeing the evaporation of its small villages, and the slow death of ancient rural and cultural traditions. Enter: mixed-reality gaming. An explanation, c/o Very Spatial: "One of the areas of convergence for location-based applications and gaming is the idea of mixed reality, where places in the game correspond to real-world locations, and actions in one lead to events or consequences in the other." A recent Nintendo DS game, Treasure Quest: Enoshima, follows this very blueprint, using a small island north of -- surprise! -- Tokyo as the setting for a handheld video game. Players have to visit and explore the actual island to play the game. The DS unit acts as the mixer, blending the fictional and real worlds, literally with the push of a button. The problem with Treasure Quest, though, is that it's over. The software could be downloaded off of the internet, and the game only ran until February 19th. Makes sense, considering that Nintendo doesn't own the island, and thus can't stake any real claim to it. But what if they could? What if, as a way to draw in tourists, a rural village somewhere in Japan agreed to sell off a large number of its abandoned buildings to Nintendo in an agreement to become the permanent setting for a mixed-reality video game? It sounds crass at first, but with the right amount of finesse, it just might be a win-win economic development strategy. For instance, to prepare the town for guests (players), Nintendo would agree to upgrade local utilities. It would also take on the responsibility for upkeep of public areas. Streetscaping, garbage collection, and parks maintenance would be taken care of by the entertainment giant. Villagers would enjoy a higher quality of life at a lower rate of taxation (though I'm assuming the American system there since I know very little about the governance of rural Japanese villages). In return, residents would agree to coexist peacefully with players. A particularly savvy game designer would craft the game as a cultural experience, creating some sort of mystery or adventure plot that made use of the area's native traditions. The argument could be made that Nintendo (or whatever company helmed the project) was being given too much power over a municipal entity; it could also be said that cultural traditions were being bastardized and pillaged in the name of commerce and fleeting entertainment. But when the options for the village are Sink or Swim, the picture becomes less black and white. After all, don't most -- if not all -- preservation efforts (architectural or cultural), on some level, tokenize the very things that they aim to preserve? Ten years later, mixed-reality gaming has become an economic silver bullet. Hundreds of villages in countries around the world have mixed their realities with fantastical virtual counterparts. The trend goes big-time when the city of Detroit sells a square mile of its infamous "urban prairie" to the Walt Disney Co., which painstakingly re-creates the neighborhood circa 1930 to stage a depression-era mob mixed-reality urban epic. The arts & crafts bungalows are the hotel. Visitors live in the game. A month later, Blizzard Entertainment announces a joint deal with CCTV and the city of Shanghai to buy up hundreds of defunct surveillance cameras and create the world's largest multi-player mixed-reality on-and-offline mega-game. The setting? Pudong. Of course, it must be asked: when is the reality in question no longer considered to be mixed? When does "mixed" become simply "augmented?" A hypothetical Aura Map of Istanbul's Golden Horn. Google Transit wants your city to get on their bus. At the American Public Transportation Association's recent TransITech conference the web giant's mass trans-tracking maps app (say that five times fast) challenged every transit agency in attendance to upload their schedules and information to the site by Earth Day of 2008. If Google's effort at TransITech is successful, live, up-to-date GPS-powered transit tracking for every major city in the country (and beyond) could be a reality much sooner than one might imagine. It's a bit freaky at first; there's a whiff of Big Brother, and a dash of 1984. But once the knee-jerk paranoia passes, the benefits begin to sink in. With live-feed transit information, Google Maps and Google Earth could eliminate the need for standing on a windy or snowy street corner for twenty minutes, waiting for a late bus. Outside it could be pouring rain, but you'd know exactly when to leave the house to catch your train. Even making connections could be more easily choreographed. Suddenly, one of mass transit's biggest drawbacks -- unreliability -- is eliminated. Overcrowding becomes less of a problem, and the whole system runs more smoothly. Everyone wins. Online mapping technology has come a long way since the basic click-navigation maps of MapQuest hit the web back in the 1990s. Nowadays you can easily access street-level views, satellite images, and highly-detailed maps of buildings and amenities of dozens of cities. Certainly, this makes the prospect of taking an exploratory walk through a new part of town less daunting; you can preview your route, get a feel for landmarks, even decide where you want to stop for lunch. But there's still a dimension missing. Online maps are still very much stuck in the 3D-level, at least as far as the masses are concerned. We're still figuring out how to map the most important factor in cities: people. Not individuals (again with the creepy 1984ishness), but crowds, traffic patterns, and even emotions. Think back, once again, to the SimCity game franchise. 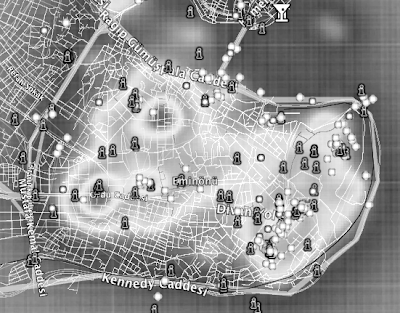 In later versions of the game, players could open up maps that charted everything from traffic to crime to the general happiness (aura) of the entire city. Live. Can you imagine the potential of people-mapping technology as a tool for planners and policy-makers? You're happy. You're entertained. You click a button on the screen that tells Google that someone on your block is in high spirits. The block's aura jumps up one point. At City Hall a few weeks later, the general happiness trend of your neighborhood is noticed to be on the rise. Civic officials study the area to learn why this spike in aura has been occurring, and use this people-powered live information to liven up some less brightly-colored spots on the map. Repeat this process with any resource, tangible or otherwise. The places that need something get it more quickly, and the decrease in wasted funds leaves more tax money to be distributed wherever it's most needed. Now you, as a citizen, have every right to see this information if your elected officials are looking in. So the aura map overlay is available via GoogleSocial. You tap the screen, pull it up. There's a spike near your friend's apartment building downtown. What's the deal? Street fair. You are so there. You lift the phone to your ear, call the friend, and then check a transit map. You just missed the train, which means 10 minutes of waiting. But oh, there's a cab around the corner. You ping it with the push of a button, and you're on the road a few seconds later. The next day, you're ready to go for a run. You check out air pollution and crowd overlays. The wind is blowing everything to the south today, so air quality will be best on the north side of town, which is good, because that's where you live. The big orange blob in the middle of the park closest to your house suggests some kind of festival is going on. Not wanting to deal with people-dodging, you check out the riverfront. Clear as crystal. And you're off! The full potential of maps, in terms of improving the quality of life in cities, is just beginning to be realized. Soon, maps won't just tell you where movie theaters are; they'll tell you which ones are less likely to be crowded, dirty, or noisy. Get ready for the cartographolution. 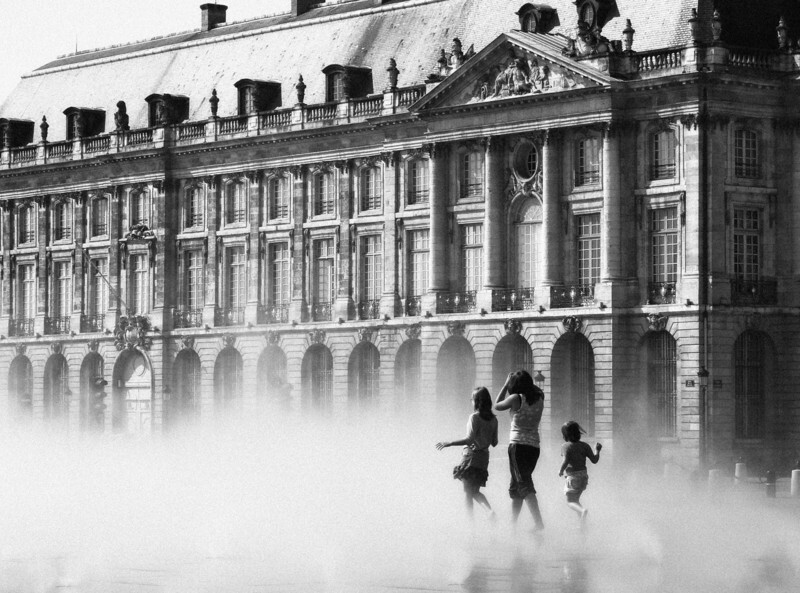 "...And joie de vivre [joy of living] may be seen as a joy of everything, a comprehensive joy, a philosophy of life..."
Long ago, writers disparaged cities like London, New York, and Paris, labeling them as hives of disease and destitution. But over time, industrialization and economic growth powered by these urban centers lifted hundreds of millions of people out of poverty, creating a prosperous and secure middle class like the world had never seen. Over the past few decades, we have seen this happen again in China and India. With the rise of ideas like common wealth and the urban planet, it seems less naive each day to believe that this trend could continue moving upward, creating a globalized standard of living (not to be confused with a singular global culture, which would be intensely boring). But the current model of urban living, with its sprawl, auto-dependancy, and tokenization of nature, is unsustainable at best. 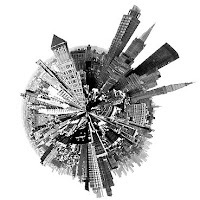 If economic development in developing world-cities is to diminish poverty at any notable rate, everyone -- in worlds both "first" and "third" -- must work to bring about the evolution of their cities into healthy, green, globally-minded places. The City As Solution to Climate Change and Globalization Pains has been a popular topic of conversation of late. But how can people in developed countries be persuaded to agree? As we step into this new Urban Age, those of us arguing for the City As Solution must focus on the joie de vivre urbaine. For cities to reach their full potential as engines for change, the urban chorus will need to grow louder and brighter. The masses should be reminded of the joys and conveniences of living in vibrant, eqitable urban neighborhoods, not guilt-tripped out of their McMansions and driven into gentrifying neighborhoods to exacerbate socioeconomic inequality. Only when a person believes that they will enjoy something -- and that they deserve to -- will they make a real effort to change their way of life. We'll start off by looking at how Google Earth and online mapping sites are making urban places more exciting by helping urbanites develop a better understanding of their cities, and how this type of technology could affect urban culture and society in the future. Taking another look at mixed-reality gaming, Where will consider this emerging form of entertainment as a possible catalyst for economic development in the near future. If you could rethink how cities are built, how would you do it? It's a question many of history's most famous architects have taken on with relish. In a guest post by SOM design associate Ella Peinovich, who participated in an architecture studio that took on this very daunting challenge, we'll learn more about what it's like to go through the process of radically reimagining the urban form. (This has been edited to reflect a change in content). Thursday will feature Where's full review of the buzz-heavy book The Endless City, compliments of Phaidon. March 21st marks the 365th day since Where's first post. To celebrate this blog's "birthday," a special edition of Weekend Reading will look back on the top ten posts of the past year. The Blogedanken game will be open to entries through 11:59pm CST, this Saturday, March 22nd. Go play and submit your favorite results for your chance to win a copy of PA Press' Hyperborder.